Let the Right One In is a Swedish horror film about a child vampire, because we all know that there's nothing more sweet and heartwarming than bloodthirsty monsters who look like innocent little children. The film revolves around its two main characters, Oskar and Eli. Oskar is a preteen who, let's be honest, is pretty weird. No, the other boys shouldn't be beating him up or bullying him, but seriously, the kid needs to work on not being so damn strange. He feels like he's definitely going to grow up to be a serial killer. Oskar, a Jeffrey Dahmer in the making. So he naturally finds a kindred spirit in Eli, the mysterious girl who moves into his apartment complex. She's friendly, but evasive, and it comes to the surprise of absolutely no one when she is revealed to be a vampire. Of course, she's a little one, so she has an old man named Haxan who does most of the dirty work for her. Haxan is supremely incompetent, and can never seem to get the job done properly and just get her the blood that she needs. He messes up a would-be murder so bad that he has pour hydrochloric acid onto his own face to prevent identification. And yes, it is absolutely as horrifyingly grotesque as it sounds. But the relationship between Eli and Haxan is an intriguing one, because in a lot of ways it foreshadows the bond between Eli and Oskar. There are two lenses through which you can watch this film. One is that, although this is at its heart a horror film, it's also the story of an unconventional friendship that develops between two outcasts. And that's sweet and all, but I think the real story is a bit more sinister than that. Because of her limitations as an eternal child, Eli needs a human at her side. Oskar is being groomed to fulfill the same role in Eli's life that Haxan previously inhabited -- a servant with a deep emotional attachment to Eli. Looking at it that way, Let the Right One In has a surprisingly dark psychological element to it on top of the more conventional horror that it also contains. 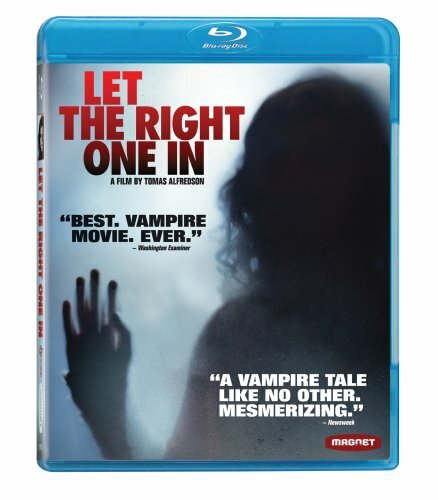 And Let the Right One In does excel as a traditional vampire film. The attack scenes are shot almost poetically, particularly in the final scene where Eli dispatches Oskar's bullies in the school pool. What's more, the filmmakers couldn't have picked a more perfectly atmospheric location for this film than Sweden. The stark and desolate landscape is as much a character as any of the actual people in the movie, the icy snows of Sweden a perfect match for the equally lifeless vampire. 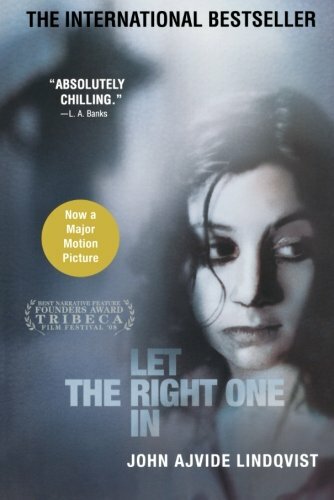 Let the Right One In is a film that stands up to repeated viewings. The relationship between Oskar and Eli is layered and complex, and every time you watch the movie you will come away with a slightly different perspective on what the hell is going on with these two bizarre little people. Proof that the fervently religious should always be regarded with a healthy degree of apprehension, lest they secretly be people-burning hippies. The cautionary tale of two arrogant American backpackers who disregard local safety advice and end up getting mauled by a werewolf. Creepy pint-sized vampire? Sure, why not. I don't need to sleep tonight, and it's not like Kirsten Dunst in Interview with the Vampire scarred me for life or anything like that.